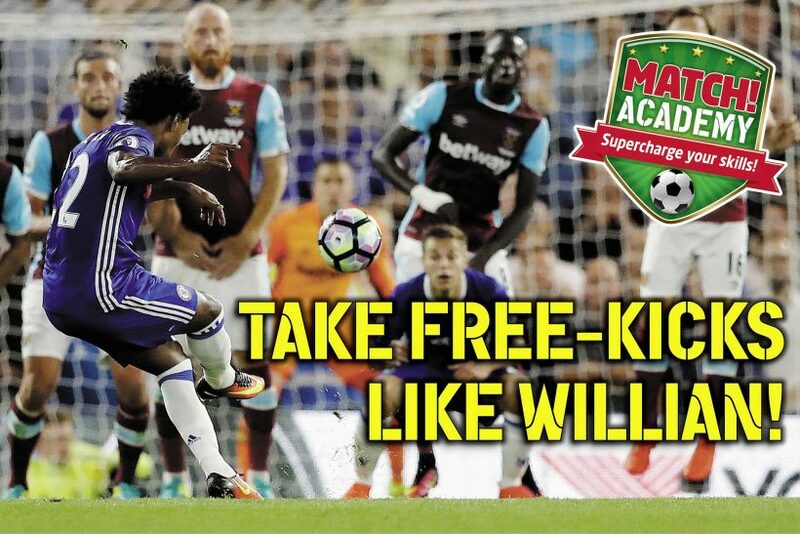 Willian is definitely one of the best free-kick takers on the planet –here’s how to bag FKs like the Chelsea megastar! To curl home free-kicks like The Blues’ hero, have a look at the goal to see where the keeper is, then decide which corner you want to curl the ball into! If you’re right-footed like Willian, take a few steps back from the left side of the ball to make room for your run-up. If you’re left-footed, do the opposite! Now run up to the ball and plant your non-kicking foot to the side of it. Don’t take your eyes off the part of the ball that you’re aiming to kick! Use the inside of your foot and strike across the back of the ball to make it spin. Hold your arms out for balance, then follow through and land on your kicking foot after you hit the ball! Stand centrally about 20m from goal, and put two cones 5m in front of you with a 2m gap between each cone. Now, try to curl your free-kick through the middle of both cones and into either the left or right corners of the goal. 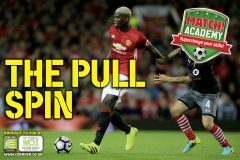 Practise hitting the bottom corners on both sides of the goal, then up the difficulty by trying to find the top corners! FINISH FIRST TIME LIKE SUAREZ!